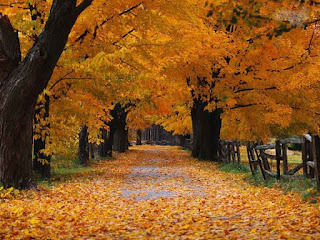 Speculative Romance Author Regina Paul: THIS IS A WONDER “Fall” TIME OF THE YEAR by Ciara Lake 404 ~ Page Not Found! Many things in my world inspire my writing. I feel blessed when inspiration hits me. Anything can start a string of thoughts, which can manifest into a new tale. The daily news, music, people I meet and or watch when people watching, television, movies, and general life experiences. I love to sit outside or take walks. During these times, I come up with new dreams to write about. I love spending time outside when it is fall. The autumn weather and the beauty of Ohio stimulate my mind. 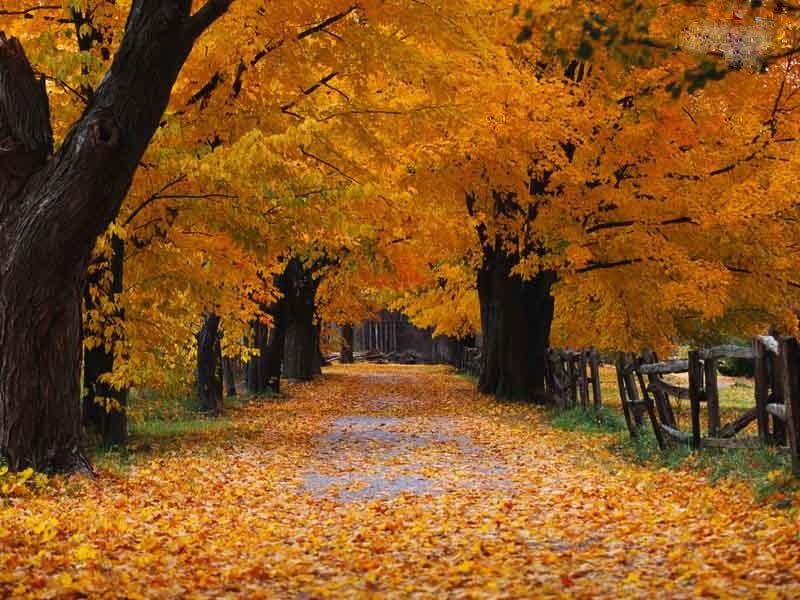 Ohio has a lovely fall season. I also love fall because my birthday is in October. We go to the state parks to see the autumn foliage on or around my birthday. This time of year has always been enjoyable. Fall is also the beginning of the big holiday seasons we celebrate. It is all very exciting to think about and plan for our family events. When I started writing Tallusian Nights it was fall of 2011, the leaves changing in the woods at my father’s farm gave me the idea for the Tallusian Forest. In Tallusian Nights, the lovers share sensual moments under a canopy of beautiful reddish and amber trees. On the planet of Tallusia, the forest is always the colors of Ohio’s fall. This vision came to my imagination from admiring the woods out the windows of my father’s house. It was like I painted the scene in my mind and put it on paper to be read. I added the people to create the complete story. In fact, I was pleased the artist for the book’s cover used the amber and reddish colors too. Now I am working on another book for the Forsaken series and the weather is helping my imagination. The cool breeze blowing through my hair is great motivator for imagination. I just step outside when having a block. Or just looking out the windows at the pretty colors seems to make my mind work better. The book I’m working on now features Mermaids. Unfortunately, Ohio has no ocean views. So, I look on the web or pictures of my past vacations. 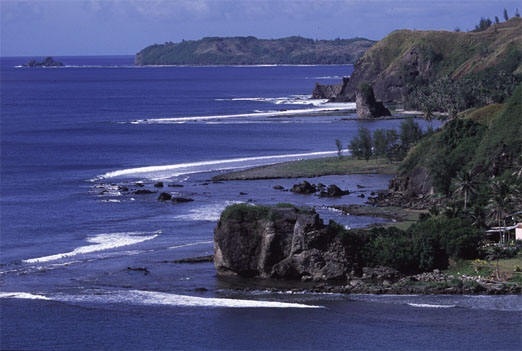 I lived on Guam for several years so I think of the days I played in the sea. I learned to scuba dive and became a PADI rescue diver while living there. Guam is surrounded by glorious blue water. It is a gorgeous island. The water is so clear and full of life. It is great to reminisce of playing in the warm sea. Of course, the Mer don’t need special equipment to frolic and play. They swim free as masters of the sea in my story. They have magical powers under the sea and on land. It is so much fun to dream up these places and people. As of today, I am only 15K into the Mermaid story. I have named it, Forsaken Waves of Time. I am still dreaming it all up. I like to dream as I go along. I start with an outline, but I often change it until it falls just into place. Just remember when starting to write stories, poems, and or music, allow yourself the time to look at your environment. Enjoy the people around you too. A mere word can get an idea flowing into a great work of art. Enjoy your imagination. 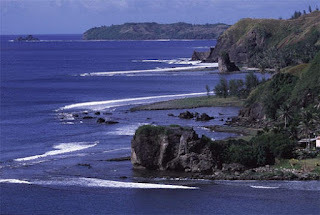 This is Guam… one of my favorite views. This is how it looks around where my father’s farm is located. It is very similar. See how beautiful Ohio is. Wouldn’t these views stimulate your mind?